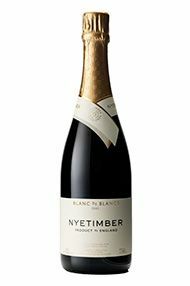 Nyetimber's history has been colourful, its vinous ownership having passed from the American Stuart Moss, via the flamboyant pop impresario Andy Hill to the Dutch entrepreneur Eric Heerema. 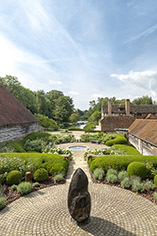 In the more distant past its decorative Manor House was built by Henry VIII for Anne of Cleves, although she never actually took ownership, thanks, famously, to Holbein's pictorial exaggeration of her charms. 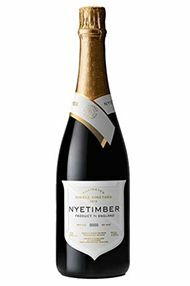 The far more charming Cherie Spriggs is now firmly at the helm making the wines at Nyetimber and the 2007 is one of the first wines that she has supervised from start to finish... A great success all round; Aromas of nectarine, bergamot and sourdough lead onto a poised and harmoniously balanced palate, with scant evidence of the slightly grassy notes that one sometimes associates with English sparklers. Extended ageing has added a pleasing biscuit complexity and the finish is both refreshing and powerful.